Welcome to Crestridge Dental, where our dentists are committed to providing the highest level of pediatric and children’s dental care to families in the Burnsville, MN area and surround Twin Cities Suburbs. Our dentists and team members do everything possible to ensure that your child has a pleasant experience and comfortable visit to our Burnsville office. With good home care, regular dental visits coupled with preventative measures, our goal is to have your child minimize cavities and possibly be “cavity free.” We believe that communication is the key to maximize dental health. 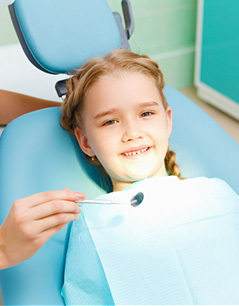 Feel free to ask us any questions in regards to children’s dentistry or about our practice. We will be happy to help you in any way that we can. Brighten your smile by calling Crestridge Dental to set up your appointment today at 952-892-5050.